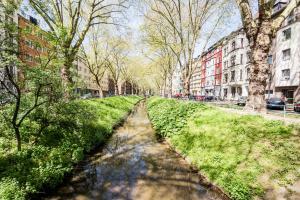 This stylish apartment in Düsseldorf is just an 8-minute drive from the historic Old Town, and 2.5 km from the famous Königsallee shopping street. WiFi access is available here. Downtown Suite is a spacious apartment decorated with contemporary interiors and a furnished balcony. Highlights include a 50-inch flat-screen TV, Playstation 3 games console, iPad and table football. Guests can prepare their own meals in the apartment’s fully equipped kitchen. 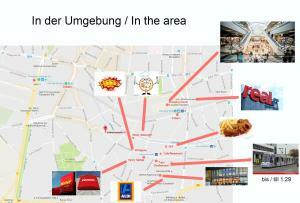 There are many cafés and restaurants serving international cuisine less than a 5-minute walk away. 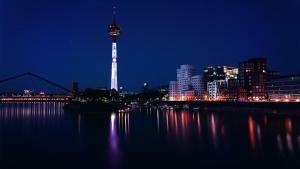 Nearby attractions include Theater an der Kö (2.3 km) and Düsseldorf Town Hall (2.3 km). Düsseldorf International Airport is located 8 km away. Please inform Downtown Suite in advance of your expected arrival time. You can use the Special Requests box when booking, or contact the property directly with the contact details provided in your confirmation. A security deposit of € 300 is required upon arrival for incidentals. This deposit is fully refundable upon check-out and subject to a damage inspection of the accommodation.